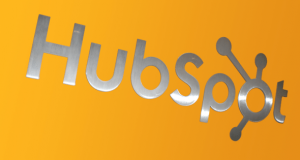 A great article from Brian Halligan the CEO of Hubspot on the leadership lessons he has learnt at the helm of Hubspot the inbound marketing company. I have shared Brian’s article in full as his lessons are so powerful and the questions that he poses for leaders of potential scale-ups are so insightful. 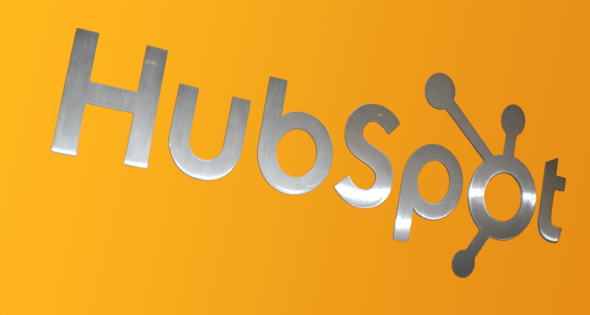 HubSpot is 9 years old. I consider that we spent our first 6–7 years in “startup” mode, where we got through product/market fit and got our customer economics to work. Over the last few years, we’ve been in “scale-up” mode, where we’re adding fuel into our engine and growing fast in a great market with nice barriers to entry. It turns out that many of the skills I need as the leader of a scale-up are much different than the skills I needed as the leader of a startup. This article attempts to lay out some of the skills and tools I’ve needed to develop in this scale-up phase. For several years now, we’ve been giving all of our employees an employee net promoter survey with two standard questions. First question being, “On a scale of 0 to 10, what is the likelihood you’d refer HubSpot as a place of work to a friend?” Second question being, “Why?” The surveys are anonymous and wildly useful for a number of different reasons. One way we use them is to evaluate the confidence any particular division within HubSpot has in its leader by cutting the data by division. More than once, we’ve had a particular division’s score go down. When that score goes down, we do the logical thing. We gather the historical trend data and commentary from the survey, present it to the leader, and ask them to put a plan together to fix it. Every time this has happened, the manager has put in good programs, but to our surprise, the score drops again the next quarter for that manager. We give them another try, and sure enough, it drops again. Crap! At this point, we usually try find a new role for that manager that is better suited to his or her skills. If the problem is deeper or there’s no role in which the manager would excel, we amicably part ways. Now, this exact pattern has happened to us four or five times, where smart, motivated folks weren’t able to turn their group’s score around. After we find a new leader for the group in question, what do you think happens to the score? In all cases, it bounced all the way back up to its steady state the very next survey period. Wowsa! Once a team has lost confidence in its leader, it is nearly impossible to get it back. If you replace the leader with someone capable, the morale rebounds almost right away. Leaders have sweet spots where they thrive and then don’t thrive. There is absolutely nothing wrong with those leaders whose scores went down — they just shouldn’t be managing a giant team inside a scale-up. In fact, I’d be first in line to work with some of those leaders if I started another company. Management experience is something that I totally discounted in the startup phase, but is really important in the scale-up phase. In a scale-up, I think the leadership hierarchy of needs is that managers need to solve for enterprise value first, then solve for their team, and then themselves. Oftentimes when managers on my team have stumbled, it’s because they got that equation wrong. Ironically, in almost all cases where this happened, the manager solved for his team, not for himself first. Inexperienced managers tend to coddle their teams, overspend on their teams, and put their team’s interest over the company’s interest if not properly guided. This coddling works for a while, but ultimately always breaks. In scale-up mode, I’m always on the lookout for any behaviors that are out of whack with the leadership hierarchy of needs. Oftentimes, getting this equation inverted is the root of the lack of confidence a team will have in its manager and a deterioration in their employee net promoter score. Are your managers solving for enterprise value (EV)? The last 9 years as CEO of HubSpot has been a pretty smooth ride, but we have hit some potholes along the way. Potholes are problems in the business. If found early, those potholes can be filled and we are on our merry way. If potholes are not tended to, they can get big and swallow your whole car or whole quarter. I’m sometimes referred to internally at HubSpot as our “chief pothole prevention officer” because I’m always on the lookout for problems that are erupting that we can solve early. For some strange reason, I am particularly good at finding problems early. Overall, it can be a good scale-up skill, but I suspect it can make me tiresome at times as well. The thing I’ve noticed about potholes in a scale-up is that they are often systemic and cut across the organization. I’ll give you an example of a big-time pothole we hit several years back. We rolled out some awesome new functionality to our customers. Our early adopters were all over it, figured it out fast, and loved it. The rest of our customers took their time adopting it, had lots of questions about it (resistance to change is human), and started calling support in droves asking questions about it. That’s where the problem started: We aim to respond to all support calls within 1 minute, but during this period, the wait time ballooned up to 15 minutes. This in and of itself is not what we wanted our customer experience to be. But that was just the start of it. When the customers couldn’t get through to support, they started calling their sales reps asking questions, so our sales reps were doing support (poorly), they weren’t calling on their inbound leads who were waiting, and our customers were irritated. The ripple effect created a perfect storm of issues that had a brutal impact to the entire business at that time. This is the type of pothole that can swallow up a couple of months of your life. In addition to finding potholes, you need to put a system in place to make sure you don’t fall into the same pothole twice. 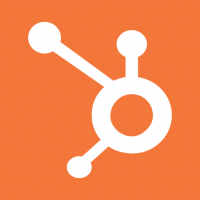 Lots has been written about the “The 5 Why’s” and HubSpot certainly does some of that. The one thing I’ve personally tried to do is to find the data that we should have seen go awry prior to the pothole and then watch that piece of data closely. Every month at HubSpot, our operations people produce a powerpoint deck with all the key metrics in it. The deck is long and about half of the slides on that deck I can look at and remember the pothole that happened that caused us to start tracking that particular piece of data. The deck is about 100 slides long nowadays and it takes me about 30 minutes a month to fly through. That deck helps us see potholes before they develop. That deck prevents us from making the same mistake twice because a pothole is a terrible thing to waste. Do you hear about problems early or too late? Why? Do you make the same mistakes twice? As you could see in the previous section, in a scale-up, everything is tightly interconnected and if one piece breaks, it can easily ripple through the whole system. It reminds me of the traffic here in Cambridge. Weakness in one part of the organization will ripple through other parts of the organization. If there is a car accident across town in Harvard Square, the whole darn town of Cambridge gets backed up. When we were in startup mode, the two key groups that had to be working right were sales and engineering. If other groups broke or were lacking, we could totally survive, actually still thrive. In a scale-up, everything has to work well at the same time, not just the sales and product groups. In fact, the operations and IT functions are some of the most important now and were almost totally ignored in the startup phase. Do you have enough slack in your system to deal with problems? Do you have a fully formed IT function and operations function? In startup mode, I was The King Of Optionality. I wanted to try lots of things and keep our options open for changing our mind down the road on everything. I think that was the right mindset back in that phase, but that mindset proved to be wrong in the scale-up phase. When you have a lot of employees and you don’t make decisions, those options can be very, very expensive. I’ll give you an example. In the early days of HubSpot, we couldn’t decide which target persona to go after. We argued about it for years. By not deciding, our marketing team had to serve multiple personas, our product team had to serve multiple personas, our services team had to create multiple offerings. Once we finally got focused on one persona, everyone could focus on attracting and delighting that persona. Another thing I did a lot of in startup mode was change my mind. It wasn’t that expensive and didn’t impact many people, so I changed courses a fair amount. This also became troublesome in scale-up mode. I started doing a bit more research and making final decisions. The expression I’d use was “we’re sailing the ship and once it’s out of the harbor, it’s not coming back.” When you sail the ship, you clarify tons of people’s work. The key to making “ship sailing” work is your team. If your team argues about a decision, the decision gets made, and the team continues arguing about it (and maybe undermines it), you are in trouble. The sign of a good team is that they can have healthy debate, but once a decision gets made whether they won the debate or not, they need to line up behind it. If you don’t have that feature in your team, it is hard to scale. This ship sailing thing has been really helpful to me as a manager. It probably has resulted in some folks referring to me as stubborn from time to time, but I’ll take that criticism. Does your team have healthy debates? Does your team rally behind decisions or second guess them? Are you indecisive? Do you flip flop a lot? One thing that can kill a scale-up is the “uninspired compromise.” The more managers sitting in the room with strong opinions and good arguments, the more likely you are to come up with an uninspired compromise that makes everyone happy, but is almost always the most conservative path. Your job as a CEO is to make the right decision, not the most popular decision.Again, the key to this principle is your team. Your team must have a culture of healthy debate and rally around the decision whether they’re advocating for it or not. There’s no “I” in team. Do you make consensus decisions? In startup mode, you tend to do everything fast. If you are wrong, you just roll back the decision. In scale-up mode, you have a choice: You can do things fast or do things right. There’s always a balance, but in scale-up mode, you need to shift toward doing things right more often than doing things fast. If you do everything fast in a scale-up, you end up with “shortcut debt” which is a close cousin to “tech debt.” If you have too much “fast debt,” over time it will cripple you as you won’t be able to do new things as your whole organization has fingers in the dam holding back the water. What percentage of decisions you make are done right versus done now? If you have a scale-up, you likely have something that’s valuable and worth investing in. There is a constant balance of how much should I be investing for growth now versus how much should I be investing in the long-term to create competitive advantage and long-term growth. In a startup, you are just trying to get to product/market fit and get your model to work, so are oftentimes laser focused on the short-term. In a scale-up, you are constantly faced with the tradeoff of solving for the very long-term or solving for the short-term. What I try to do is balance the pressure for short-term results from investors (private & public both want growth), and make bets that will benefit us over the long haul. In fact, one of my favorite quotes is by Warren Buffett, “Someone is sitting under a tree today because someone planted a seed a long time ago.” That’s very much true at HubSpot. For example, some of the systems we put in place years ago to address that support wait time pothole I mentioned earlier are still paying off many years later today. By the way, if you are reading this and are in a scale-up, it is likely your founders were in it for the long haul from the start as opposed to building it to flip. From the very early days, we decided and communicated to employees and investors that we were going to build something that our grandkids would be proud of someday. Making that clear and walking the walk is probably one of the reasons we got from startup to scale-up in the first place. What percent of your budget is focused on this year’s growth versus long-term competitive advantage and long-term growth? Tracking: Numbers we are looking at to see if we are on track. The most important part of the document is probably the “Omissions” part. These are the projects we are not going to fund this year. This is how the organization limits my appetite so I don’t overstuff us. This document is useful for lots of things. For example, we look at this document at our management team meeting and use red/yellow/green to mark the numbers. Any that are red or yellow, we spend time and resources trying to get them green in the next couple of meetings. We have all our leaders create their own MSPOTs and make sure they fit with the company’s MSPOT. Do you re-look at your strategy once a year? Are you really disciplined about saying “no” to projects that take you off course? Are you constantly arguing about strategy with your team? Are you spending enough time preparing for your company meeting? Someone gave me the bus analogy and I find myself using it a lot. If you haven’t heard it, it goes like this. A leader has 3 responsibilities that are akin to a bus. First, the leader must have a clear set of directions in mind on where the bus is headed. Second, the leader must have the right people on the bus who are excited about the direction and work well together. Third, the leader must have enough gas (cash) in the tank to get to their destination. When I look at HubSpot or look at leaders on my team, I try to get back to basics with the bus analogy. Is everyone aligned behind your strategic direction? Do you have the right people on the team to pull it off? Do you have the funding to reach your objective? Much has been written about HubSpot’s culture, so I won’t belabor this one. If you haven’t done so, check out HubSpot’s Culture Code. This is the most important document inside of HubSpot. Most companies spend countless man years trying to craft and evolve a unique, great product. When they do that, it is like a magnet for tons of customers and revenue. The ironic thing is that products are built by employees. What I’d advocate is that you should spend countless man months trying to craft and evolve a unique, great culture. When you do that, it is like a magnet to pull in and retain tons of those great employees. Do you have your culture written down? Is it BS or real? Does it attract the right folks and repel the wrong folks? OK, those are some of the leadership lessons I’ve picked up along the way since HubSpot’s moved from startup mode to scale-up mode. Do you have any others for me? If so, please write a response for others to enjoy. Brian Halligan is the CEO of Hubspot and a senior lecturer at MIT. « Why we need to focus more on supporting the Gazelle companies to successfully Scale Up	» 5,000 – 1 Leadership lessons from Leicester City the rank outsiders of the English Premier League.